Berlin’s Oranienplatz has been a center of protest in recent years, especially for the refugee movement. 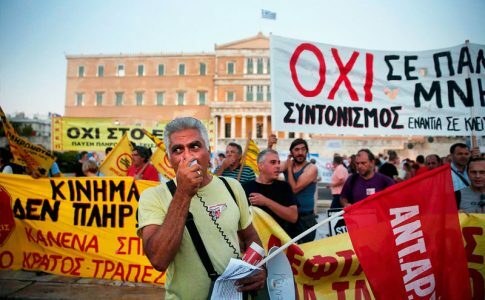 On Friday afternoon, 2,000 people gathered at this square to say “OXI” (“NO”) to the Troika and the German government who are imposing brutal austerity measures on the people of Greece. This Sunday, Greeks will vote in a referendum about the latest proposal for a memorandum. A broad alliance of the left in Germany came together to show solidarity from the “heart of the beast”. “Deutschland, you are a piece of Scheiße” said one sign. 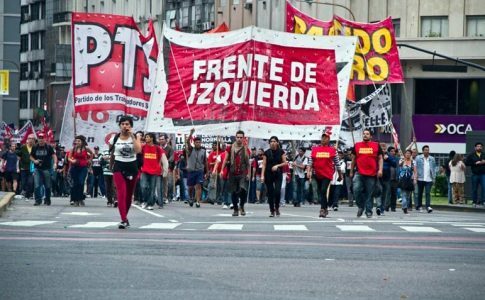 The police detained ten people for the crime of “insulting the state” with this slogan, and the demonstration refused to move before they were released. 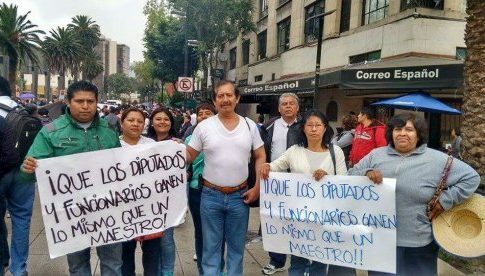 It took more than two hours before the march could start. The police presence was massive, even though the march was completely peaceful. Eventually the marchers reached the symbolic Brandenburg Gate in the center of the city and held up signs with “OXI”. Walking past the office of the German finance minister Wolfgang Schäuble – an imposing building from Nazi times – many demonstrators held up their middle fingers. 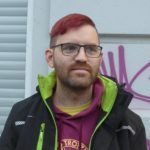 Unfortunately, while the organizers express solidarity for the masses in Greece fighting against austerity, they also support the government of Syriza and Alexis Tsipras who are capitulating to the pressure of the German government and the Troika. Only some sectors expressed a program of class independence from the Greek government and a critical “no”. 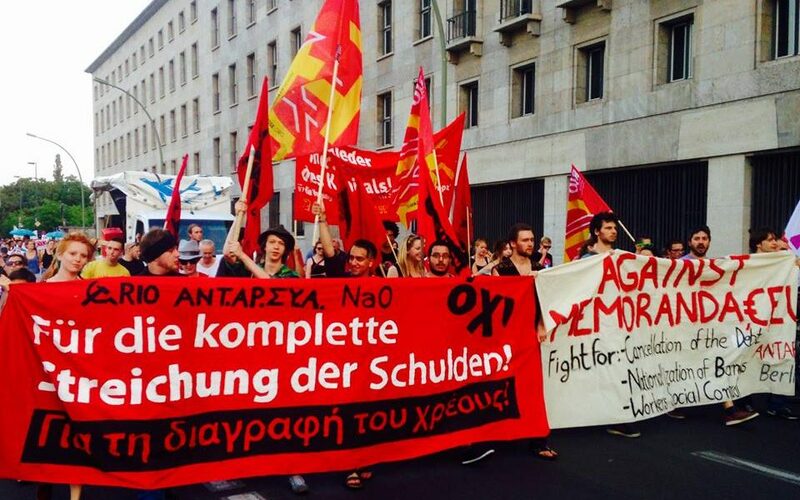 A block organized by RIO (the Revolutionary Internationalist Organization, German section of the Trotskyist Fraction – Fourth International), the NAO (New Anticapitalist Organization) and the Berlin branch of the Greek anticapitalist alliance ANTARSYA called for the complete cancellation of the Greek debt. 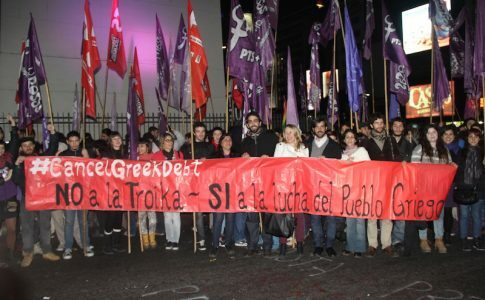 These three groups had a joint banner and chanted in Greek: “No, no, a class-based no– against the Troika, the memoranda and every boss.” RIO also distributed a flyer calling for a workers’ government in Greece. This is just one example of the kinds of mass solidarity actions that are necessary to support the struggles of the working population of Greece.